June 14, 2017 August 25, 2017 - by HAHAPPY - 2 Comments. 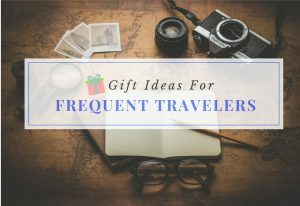 If you’re looking for Unique Golf Gift Ideas, you may probably find there’s an endless variety of choices on the market and have no ideas which are the best golf gifts for your loved golfer. So we are here to help you find some awesome golf gifts to buy. From Smart Golf Follow Cart to Personalized Golf Ball, Leather Golf Belt, Cool Golf Sunglasses, High Tech Golf Rangefinder and much more. The golf lovers on your gift list will love these thoughtful, meaning, practical and super cool golf gift ideas! 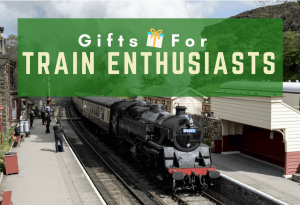 Searching for the best gifts for golf lovers? If your budget allows, then this multi-awarding winning Stewart Golf X9 Follow Cart is truly the ultimate stocking stuffer. With the latest Bluetooth follow technology, this awesome golf cart will follow you on the golf course whenever you go. 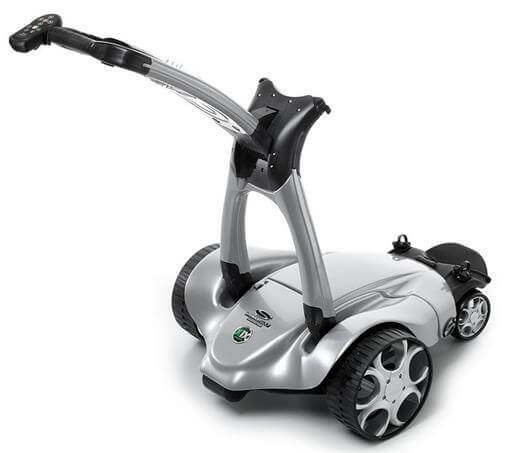 If the Bluetooth Follow Cart too much over your budget, consider this CaddyTek SuperLite Deluxe Golf Push Cart. 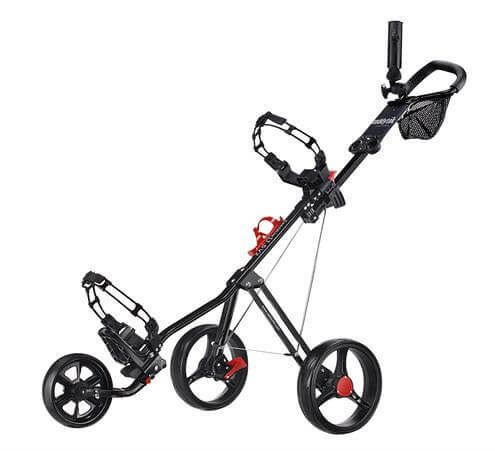 With this deluxe, simple 3 wheel push cart, there’s no need to carry any heavy golf bag around the golf course anymore. 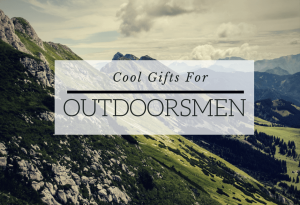 Searching for great gifts for golfers under $50? 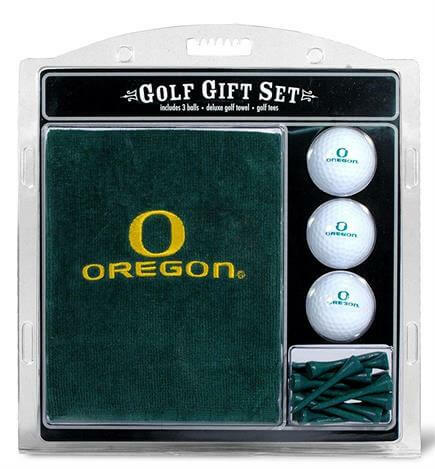 Then this NCAA Embroidered Golf Gift Set is a good choice. The set includes 3 Golf Ball, 12 regulation Golf Tee, and a Towel with the embroidered team logo. Remember to choose his/her favorite team when checking out the order. 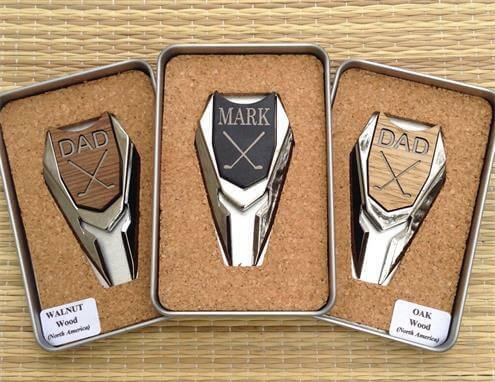 It’s no wonder this Personalized Magnetic Golf Ball Marker & Divot Tool is one of the best golf gifts for dad. What’s more, this unique divot tool is handmade in California, with a custom gift tin box. 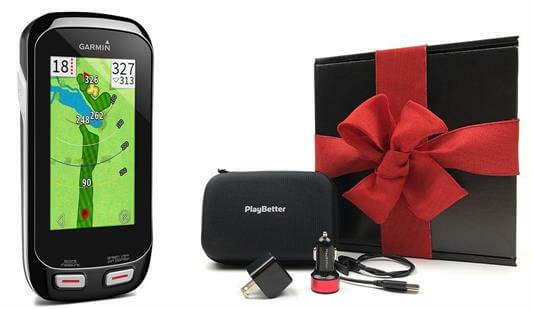 Garmin Approach G8 Gift Box combine most of the unique golf accessories into one special spot, including – Garmin Approach G8 Handheld Golf GPS, USB Charging Cable, Belt Clip, GPS Hard Carrying Case, and USB Charging Adapters for Wall and Car. All packed in a black gift box with a beautiful red bow. 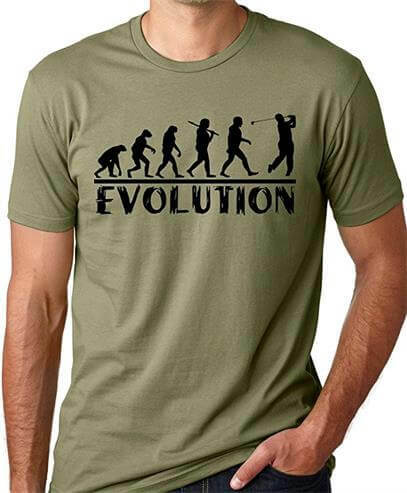 If the man you need a gift for is a golf fanatic, he will love this Golf Evolution Funny T-shirt for sure. It’s made of 100% combed cotton jersey and 32 singles for extreme softness. Good Quality, Nice Fit, and Looks Great. His ball mark and divot tool are perfectly built into this unique leather golf belt. He can wear this multi-functional golf belt on the course or in the office. High-quality workmanship and materials make this premium golf belt one of the best golf gifts for him. 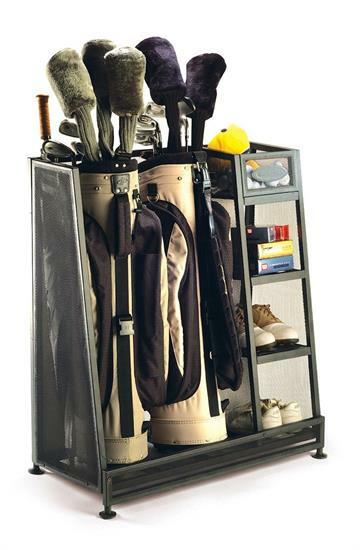 Made for the avid golfers who want to store all their golf accessories properly. This study Suncast Golf Organizer has a foam strip protects the shafts from scratches. It also has enough room for two golf bags, shoes, balls, tees, and so on. Hit the green in style with these Golf sunglasses by Callaway®. It features megol nose pads and Polarized lenses. It also includes a carry pouch, a lens cloth, and a hard case with a hanging clip. 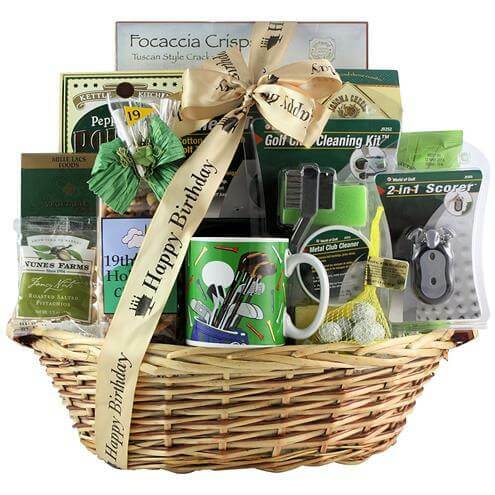 Give your loved golfer the best wishes with this Golfer’s Delighted Gift Basket! 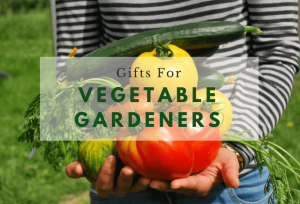 This great gift basket includes a Golf Club Cleaning Gift Pack, a Terry-Cloth Golf Towel, a Score Caddy, delicious gourmet golf themed snacks and more. If you’re looking for a great gift for the golf fan in your list, this is exactly what you need to buy. 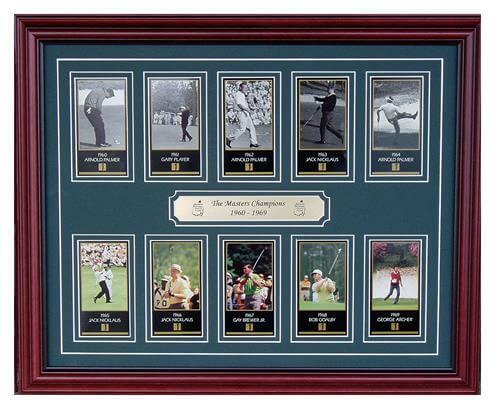 The Masters golf tournament champions in the 60s professionally framed with an engraved nameplate. For the golf enthusiast in your life, this Fairway Bronze Golf Decorative Accent makes a fun decoration. It comes in the awesome bronze finish, and the middle letters of the word Golf spelled out by an exquisite golf ball and a driver golf club. 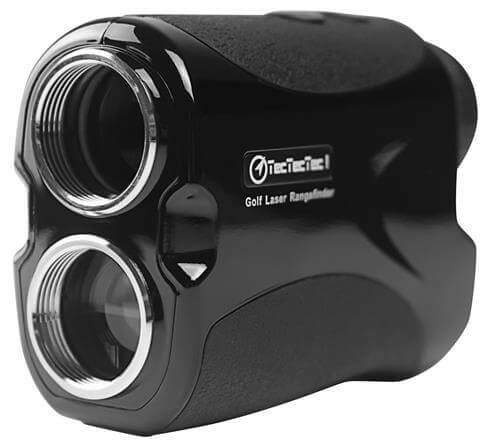 With the latest technology, this TecTecTec Golf Rangefinder perfectly measures distances quickly and more accurate than any other measuring device. 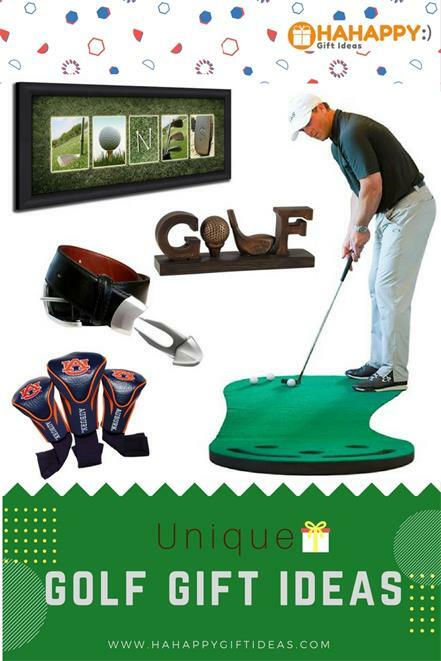 Great gift and gear for any golf player to improve their golf game instantly. 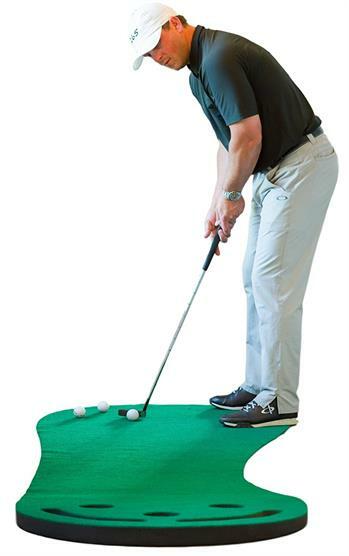 This Golf Putting Green & Indoor Mat is the best gift for your loved golf lover to practice their golfing skills at home or at the office. With 9 x 3 feet, it’s perfect for playing rounds of golf with friends, or just to have fun putting …. without having to plant grass indoors! 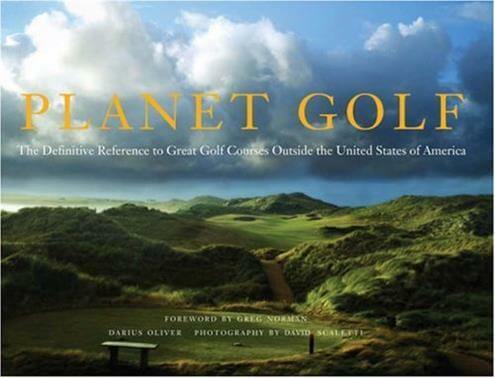 Bring your loved golfer to a breathtaking tour of the world’s finest golf courses, this gorgeous book introduces more than 130 golf courses outside the United States. With all the amazing, beautiful photos and new information, it makes a unique gift idea for any golfing traveler. 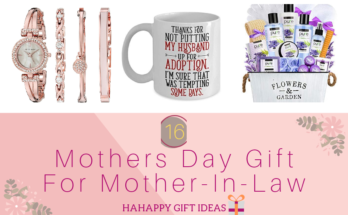 Surprise your golfing lady with a unique gift she’ll love to use. 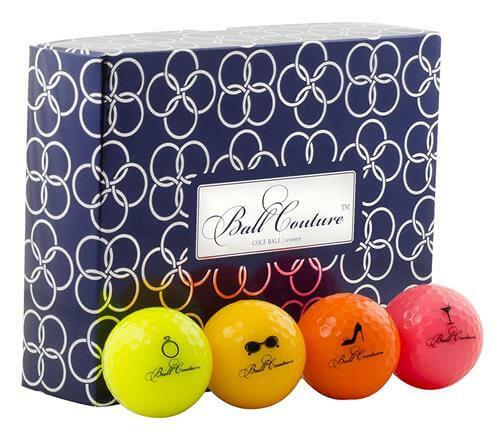 These Fashionable Golf Balls are designed to benefit a woman’s club head speed and deliver a soft feel and long distance with a colorful contemporary look. Perfect gift for any stylish golf player. Need some unique gift ideas for golfers who have everything? 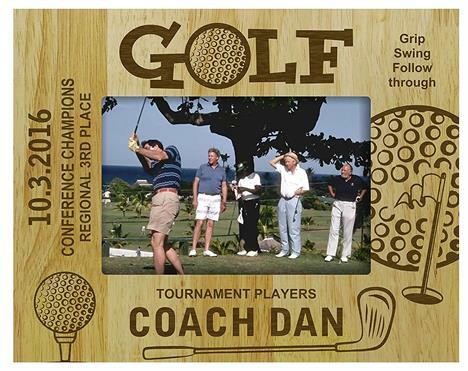 Give them this Personalized Golf Name Art, and you can’t go wrong. 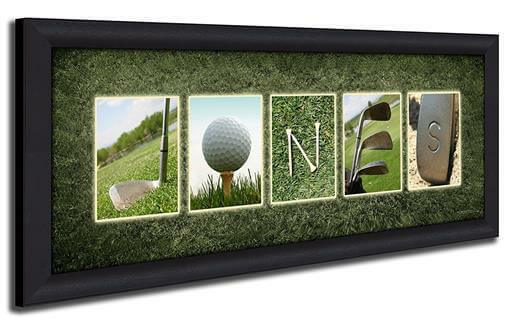 It uses the funny golf themed letters to spell out the name of your loved golfer. Personalized, Unique and Beautiful. 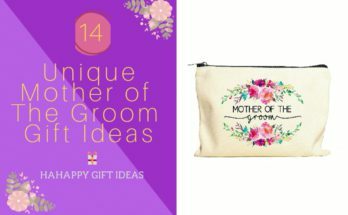 Searching for a unique gift for a mom, wife, daughter, girlfriend, or sister who loves playing golf? This all-in-one Women’s Solaire 13-Piece Set is a great choice. This complete set of clubs offers forgiveness engineered and outstanding performance specifically for women golfers. For men’s version, click here. 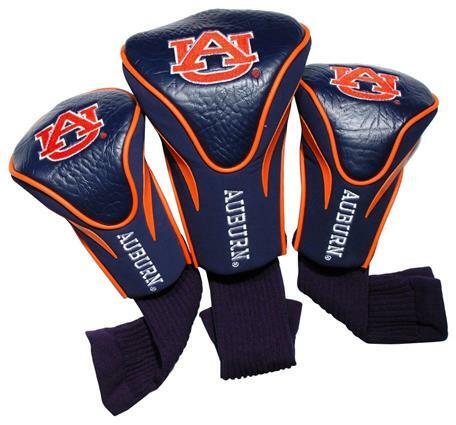 If the golf lovers on your gift lists are the fans of NCAA golf team, give them these great looking NCAA 3 Pack Contour Head Covers. It’s made with Buffalo Vinyl, Polyester Knit, and Mesh. Fits all rescue, utility, and fairway clubs. They come in different team logos, so choose the right one when checking out. 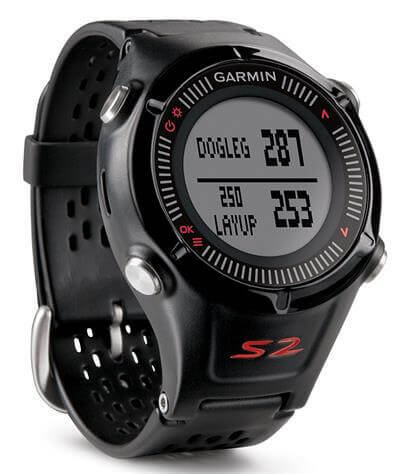 Approach S2 is a comfortable and stylish GPS golf watch with a high-sensitivity GPS receiver giving accurate yardage to the front, middle, and back of greens. Also, it offers digital scorecard that helps golfers to keep track of their score throughout the round easily. 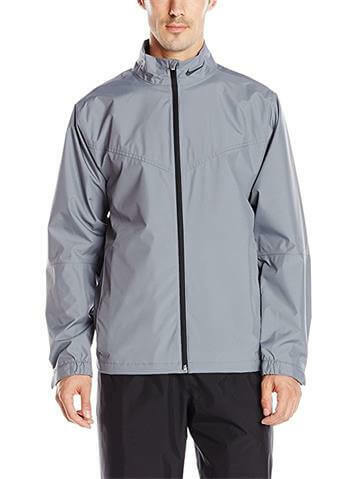 Designed with golfer insights, this Nike Golf Men’s Storm-Fit Rain Suit helps keep golfers dry in all weather conditions and blocks wind and rain. It is engineered to be ultra- comfortable and ultra-light. Therefore, it is really one of the best gifts for any golf man. This Engraved Wood Personalized Golf Golfer Theme Picture Frame is guaranteed to be a great keepsake that every golfer will cherish. It’s made of premium natural wood with Laser engraved. 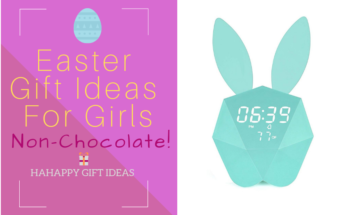 Best of all, it comes with an elegant gift box with ribbon. 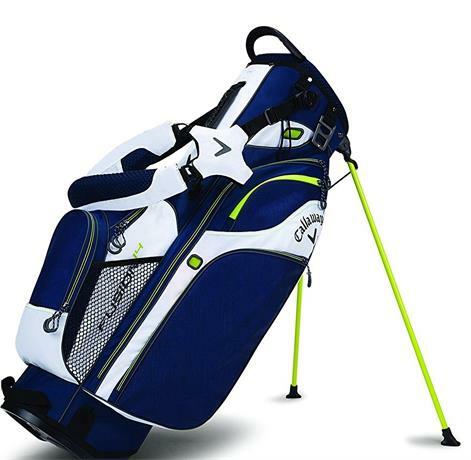 This Callaway Stand Bag is a great carry bag with unique features. It less than 6 pounds but provides maximum organization. With the improved quick release Comfort Tech Strap System, it is easy and comfortable to carry. Got a Golf Diva in your life? 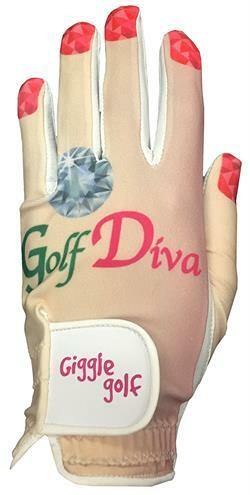 Give her this unique Giggle Golf Golf Diva Women’s Golf Glove and let her put the love in golf. It has a high-quality Cabretta leather palm and breathable lycra back. Unique, Fun and Cute. My brother’s birthday is round the corner and he loves golf and is currently obsessed with it! 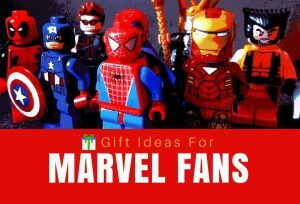 The only problem being is that I know very little about the game and definitely need some help picking up the right gift. 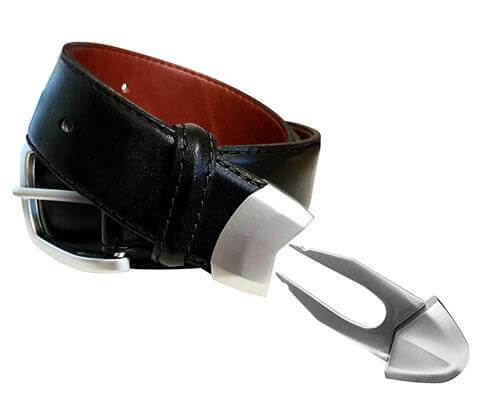 The leather golf belt really looks unique and I think I would definitely get that for him! Thanks so much for your feedback, we’re happy that you found our post useful!